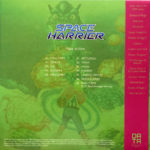 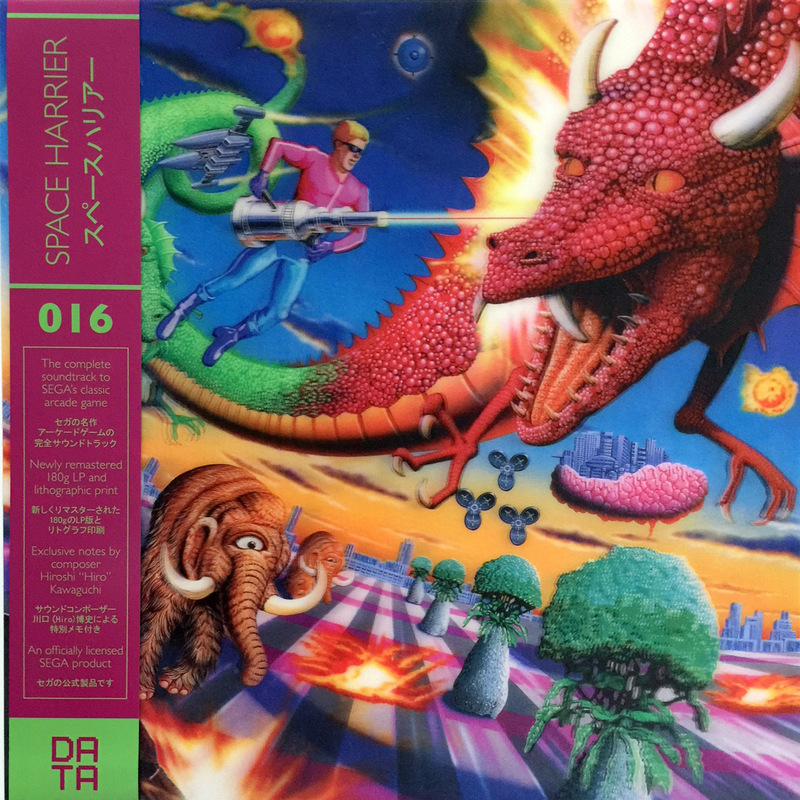 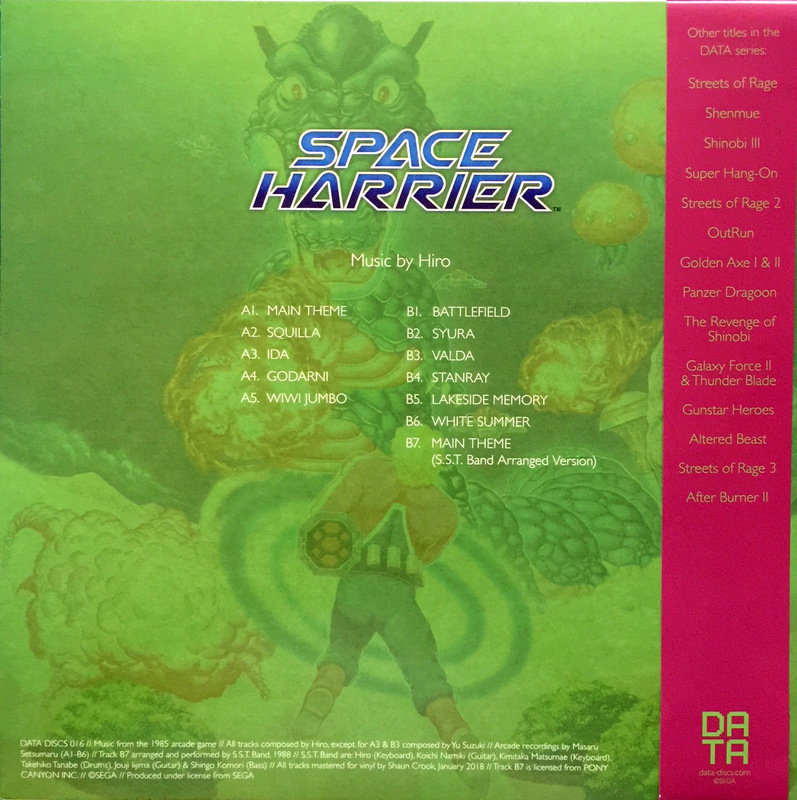 A 2018 vinyl release of Hiroshi “Hiro” Kawaguchi’s soundtrack to Space Harrier. 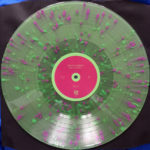 This is the 16th vinyl release by Data Discs. This is the limited edition translucent green with purple and green splatter LP. 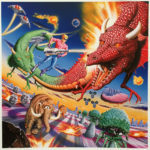 This record has lenticular 3D cover art. 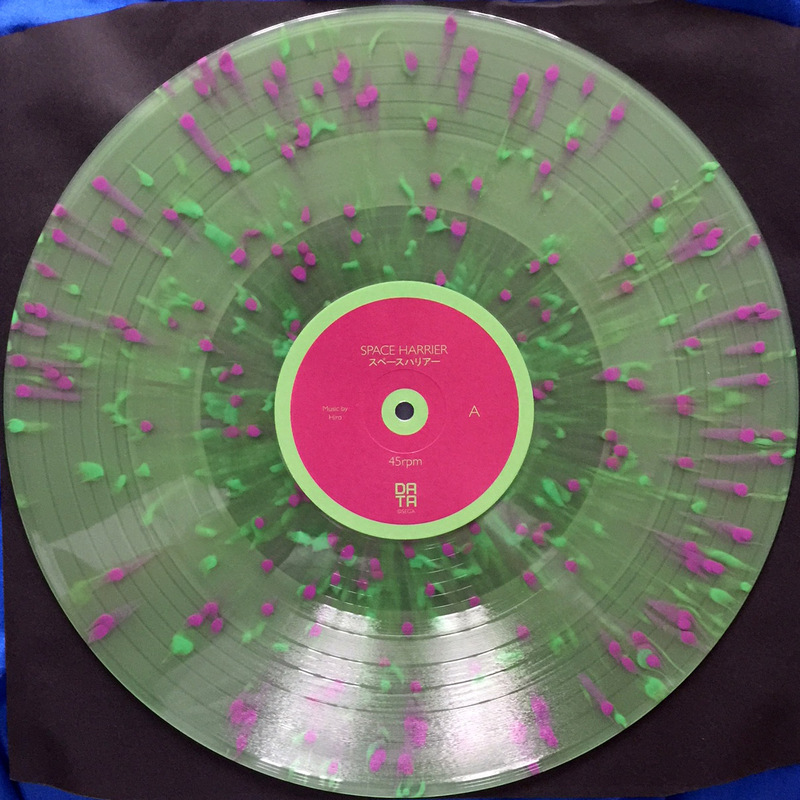 Larger pressings are available on translucent green and black vinyl. 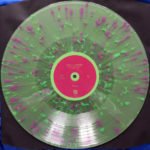 The record plays at 45rpm. 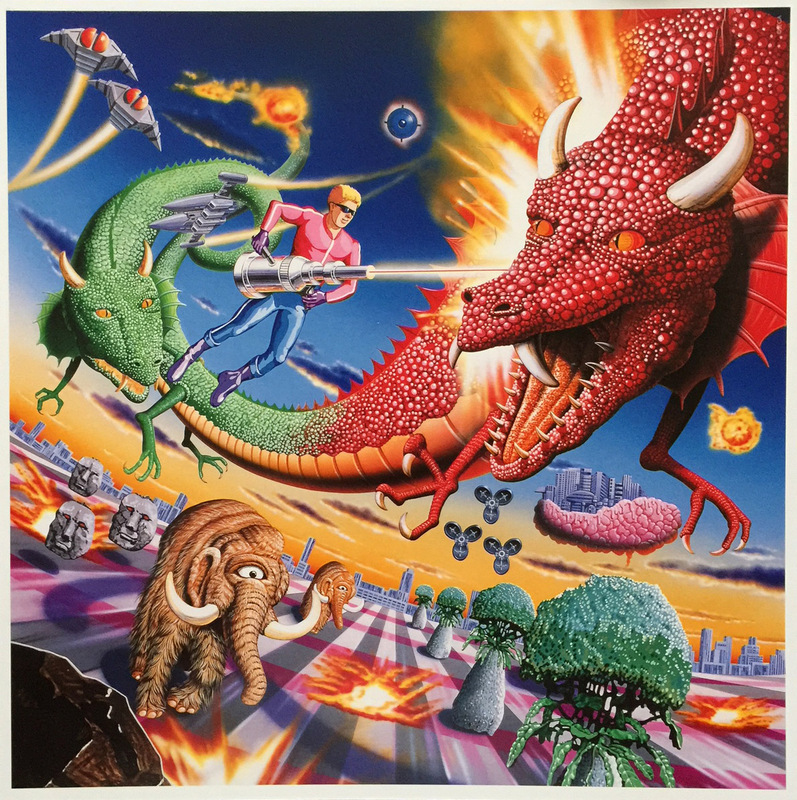 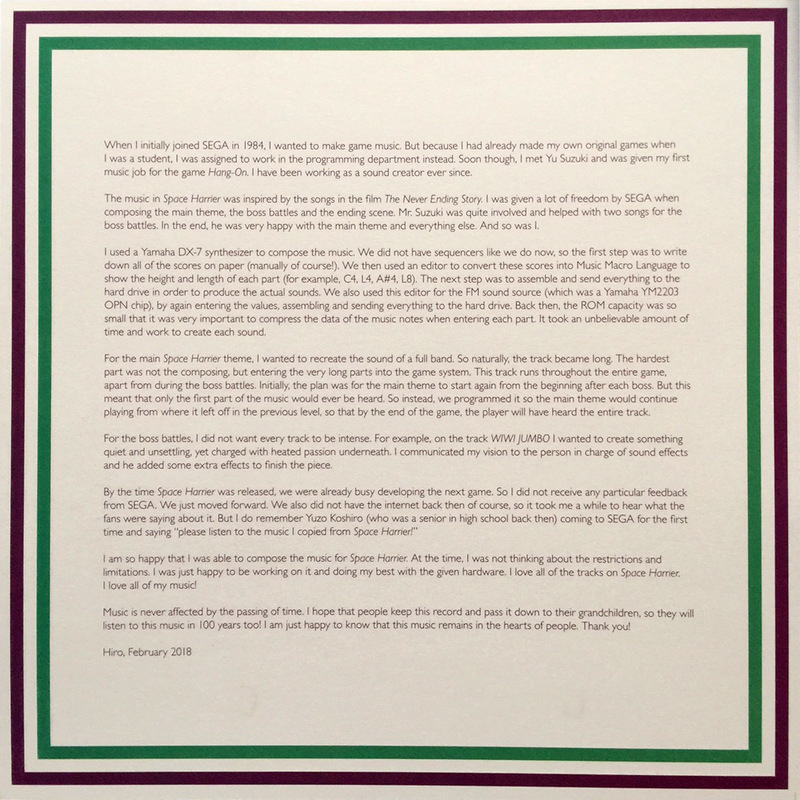 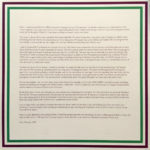 A lithographic print of the cover artwork is also included.